Sorikmarapi is a forested stratovolcano with a 600-m-wide summit crater containing a crater lake and substantial sulfur deposits. Phreatic explosions. Strong hydrothermal activity. Strong fumaroles, crater lake. 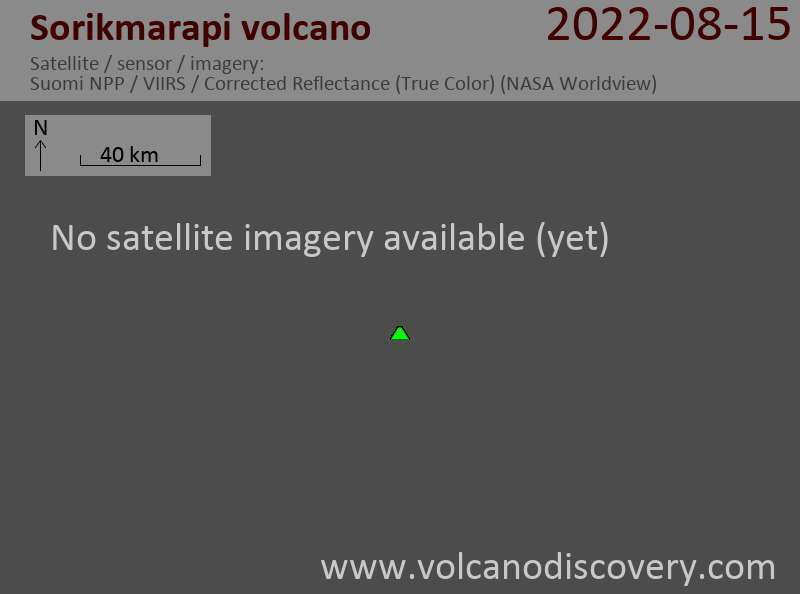 A seismic swarm was detected at Sorik Marapi volcano in Sumatra and the alert level was raised to 2 (out of 4). 43 volcanic earthquakes were recorded on 12 December. A 1.5 km exclusion zone around the volcano was declared.